- How can Cardiologists, Cardiothoracic and Vascular Surgeons, and other CV specialists understand where they stand? - How can they effectively assess the PCP-driven market forces that are impacting/shaping their specific practice environment? - Armed with this knowledge, what should they do? In part one of this article, CFA focuses on how to assess and react to these changing market dynamics in your specific practice setting. In part two, we will address how to make sure you are truly positioned as a high-value CV provider in markets where PCP-controlled entities may literally dictate whether your practice stays alive and relevant. As CV physicians know all too well, being respected as a good clinician is not enough anymore. 1. The rate of ACO market penetration is progressing in an asymmetrical manner. The geographic distribution of ACOs has continued to expand as ACOs have begun to form in more markets and to expand within those markets. ACOs exist in all 50 states, Washington, D.C., and Puerto Rico, with the number of ACOs strongly correlated with the population (rs=.895, p<.001). As of the writing of this article, California has the most ACOs with 81, followed by Florida with 66 and Texas with 48. It is best to evaluate the impact of ACOs on your practice at the Hospital Referral Region (HRR) level. There is strong correlation between ACO prevalence and population, though the relationship is not as strong (rs=.645, p<.001). It is important to note that there are still many regions of the country where there is negligible ACO activity, and not just in rural areas. The critical metric is not the number of ACOs in your market, but the percent of covered lives (e.g., percent share of the total market) in your market area. In cardiology sub-markets where ACO penetration is low (less than 5% covered lives), the key is determining when to be an early vs. late adopter. It is important to track the rate of conversion to PCP driven delivery models and the percentage of covered lives. If the rate of ACO covered lives is growing consistently in your market area, re-positioning your practice to a more fee-for-value based capability will be critical. Entering too early into these payer models can unnecessarily reduce practice revenues and negotiating power, while significantly increasing paperwork. Getting in too late can decrease leverage, inclusion and financial performance. Inherently, multi-specialty CV groups are best suited to operate in PCP-riven ACO-type environments and population based, fee-for-value driven markets by offering “one stop” cardiovascular services. CFA firmly believes that regardless of practice size, aggressively tracking and managing CV practice outcomes for both clinical and resource utilization metrics (like cost per case, LOS, re-admission rates, etc.) is a best practice for all CV medical groups. Building this type of practice reporting capability best positions CV physician groups to effectively compete in the current healthcare marketplace and positions you to effectively leverage your practice in the event population–based, fee-for-value delivery models grow and dominate your market area. 3. Regardless of your current practice size and market dynamics, CFA recommends that CV specialists include a regular strategic positioning assessment/planning process into their overall practice management approach. 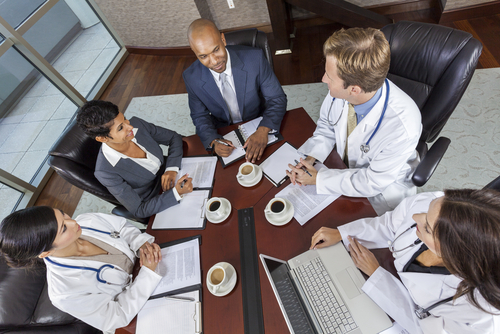 Sadly, many CV groups often fail to incorporate proven, effective, physician-driven strategic planning processes into their practice culture. Failure to assess what’s up ahead, and effectively prepare for it, can severely reduce a group’s ability to survive and thrive. In Part Two of this blog, we will further address positioning your practice in a PCP-driven ACO environment. As always, CFA invites your comments, questions and suggestions. © 2019 Charles Franc & Associates, Inc.